12,000 BTU Ductless Mini Split Inverter Indoor Unit For Model: H-Series H12HP2A. Indoor unit only. Cooling Area up to 600 ft. Sleep mode, louver position memory, gold fin anti-corrosion, and auto restart functions. 16.7 SEER. R-410A refrigerant. Mr. Cool 18K BTU 16 SEER Ductless Indoor Unit/Inverter DIY Series, Inverter only for Mini-Split R410a. Looks to have been previously installed and may be missing parts. Please inspect before bidding. 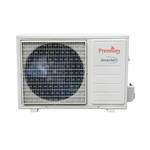 Premium 9,000 BTU 3/4 Ton Ductless Mini Split Air Conditioner and Heat Pump - 115V/60Hz - Outdoor Unit Only. 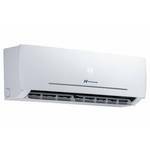 9,000 BTU 3/4 Ton Ductless Mini Split Air Conditioner and Heat Pump - 115V/60Hz - Outdoor Unit Only. PIAW9169A/70B. 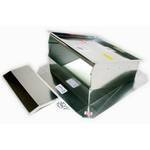 Dial 18" X 18" Galvanized steel Evaporative Cooler Motor 78317 For 3000-4500 CFM Coolers. Dial 18" X 18" Galvanized steel Evaporative Cooler Motor 78317 For 3000-4500 CFM Coolers. In nice condition. Includes a slide-in winterizing damper. Adjusts from flat up to 6/12 pitch. Made of galvanized steel.